The wire-mesh grilles are created to add a sharp style to your vehicle. Sport Grilles are the impressive accessories produced from T304 stainless steel that will make your vehicle a head-turner. 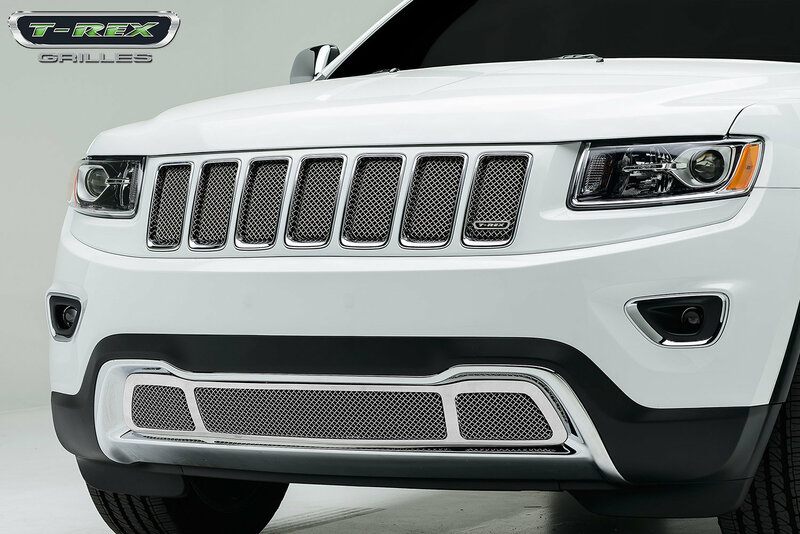 T-REX® Sport Grilles combine stylish look with functionality. T-Rex Sport Grilles offer unique, classy appearance, appropriate for a car of any caliber and price. The grille is available in black powdercoat finish. T-Rex Sport Grilles are aimed to emphasize high quality, fit and style, that's why they meet strict quality control standards. The grilles are custom made for a specific year make model vehicle, and are available for both upper and lower bumper openings (if applicable). T-Rex Sport Grilles are produced of a high-quality stainless steel. All the fastening elements are double-welded to keep the accessory in place firmly. During the installation no drilling is required, all mounting brackets are included. The package includes detailed installation instructions.